Once you change the way you look at things, everything changes. 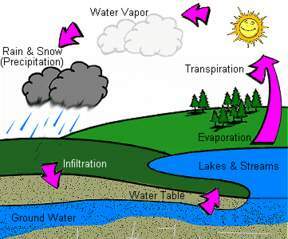 The Water Cycle is crucial to our very existence and the means by which plant, animals and humans remain alive. Students will complete a web quest to learn about the water cycle, summarize the processes and say why it is important to their lives.